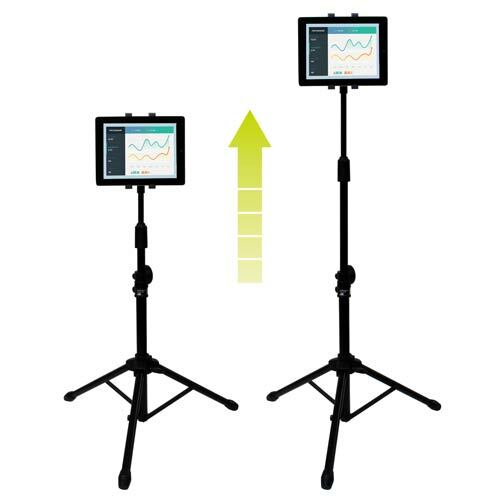 This adjustable tablet tripod stand is perfect for delivering presentations. The stand fits tablets ranging in size from 6.5 to 7.8" in width and up to 0.45" in thickness. Use it with your Apple iPad or other compatible tablet. This TAA compliant product adheres to the requirements of the US Federal Trade Agreements Act (TAA), allowing government GSA Schedule purchases. 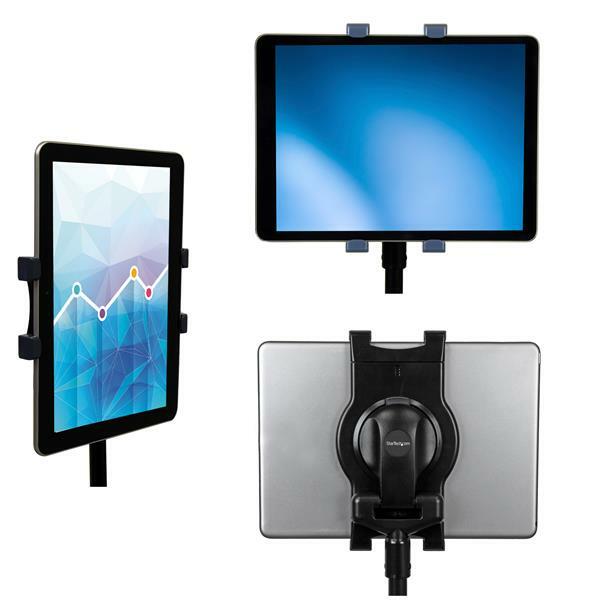 The tablet stand lets you use your tablet to deliver powerful presentations, while you stay focused on your audience and the content you’re delivering. You can use your tablet as a visual cue or teleprompter, without having to hold it or repeatedly look down at it while you’re speaking. 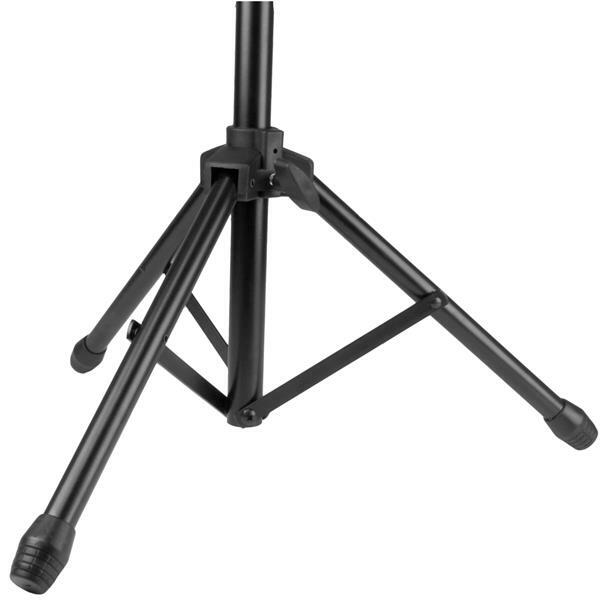 Use the tripod while you’re sitting or standing. The height is easy to adjust - from 29.3 to 62” (74.5 cm to 157.5 cm). You can also rotate the tablet 360 degrees to change from landscape to portrait position and tilt the screen to your preferred viewing angle. 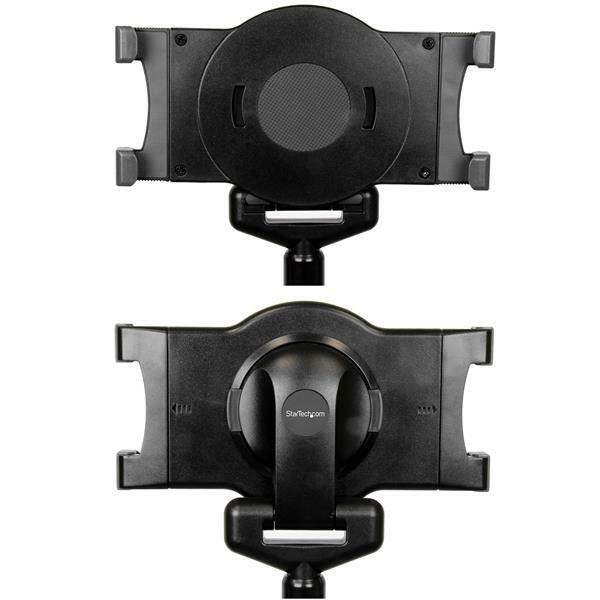 Plus, the tablet holder is detachable, with quick-swap attachments that let you remove the tablet from the stand and place it back in at any time. 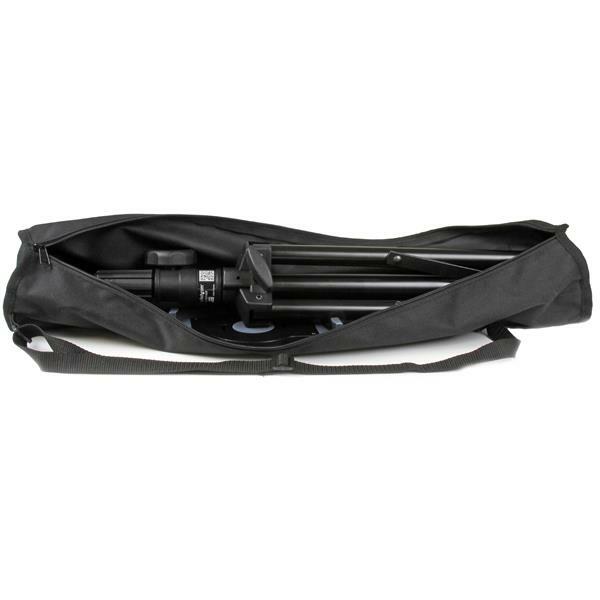 The tripod folds up nicely and comes in a handy carrying bag for portability. 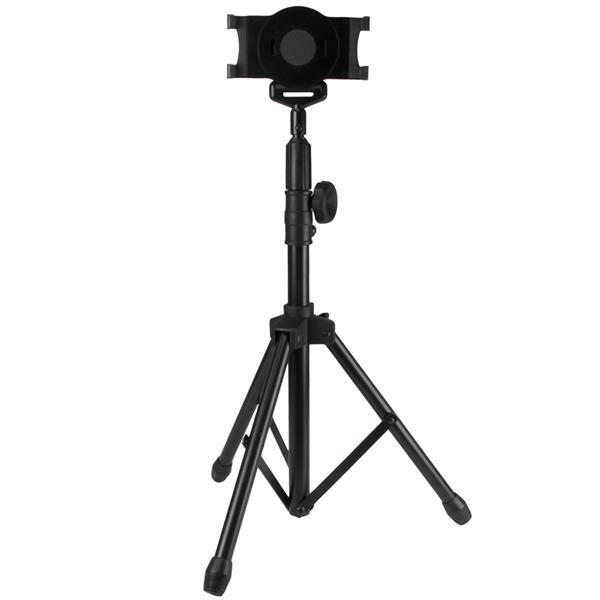 Setup is easy - just extend the collapsible tripod stand to the height you need, lock it in place, and mount your tablet. STNDTBLT1A5T is backed by a 2-year StarTech.com warranty and free lifetime technical support.